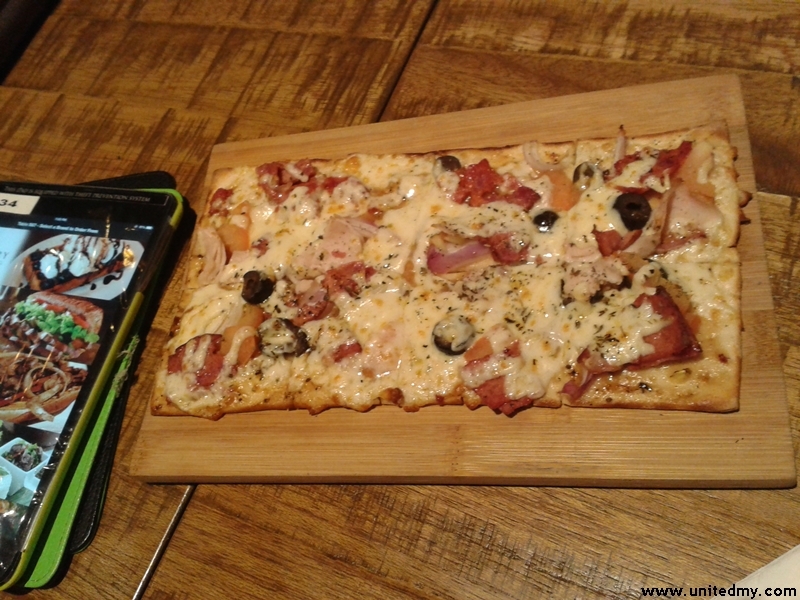 Fast growing restaurant brand in Malaysia 2015. New opening at Penang Gurney Paragon. 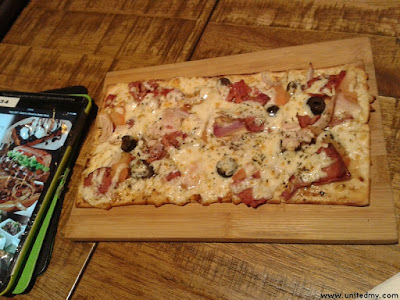 American restaurant franchise are mushrooming in Malaysia. 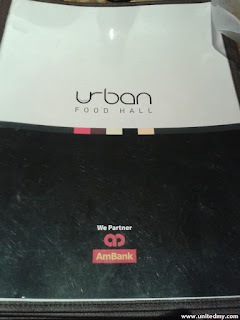 The huge expansion is ongoing with many new restaurant opening at highly congested area such as the Gurney Paragon Mall. With so many high rise shopping malls in Malaysia, the demand for upscale restaurant is increasing. Willing to pay premium price for a decent meals is an idea adopted by local communities as their lifestyle is catching up with developed country. If it was not because of it heavily marketed on Facebook, author would not be able to learn newly opened restaurant at Gurney Paragon mall. 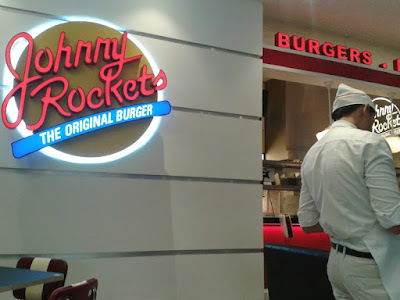 Came to know about Johnny Rockets through Facebook's sponsored post while scrolling the News Feeds. Offer much complex flavors and bun types. 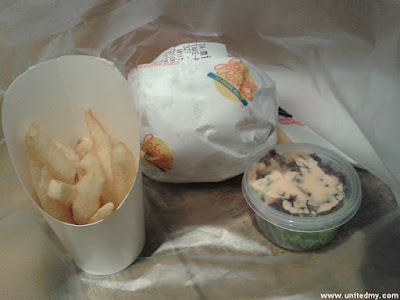 Burger lovers definitely must try. I wonder why drinks was not included in a package that cost RM27.00 ? Ordered an average size smoke house single burger. 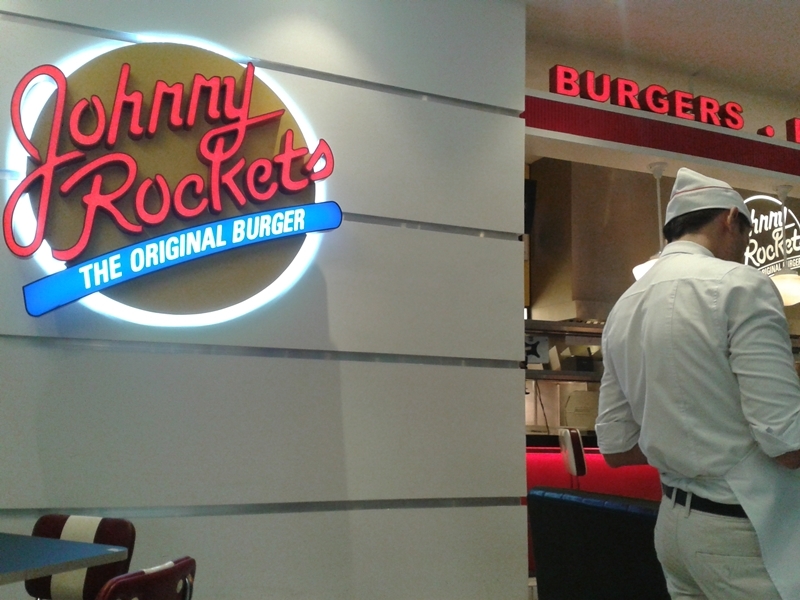 Inside Urban Food Hall, Johnny Rockets are one of the restaurant operating under one name. Was not fancy about taking away, dining in with friends ordered a pizza package carrying the brand name Quiznos Cafe. 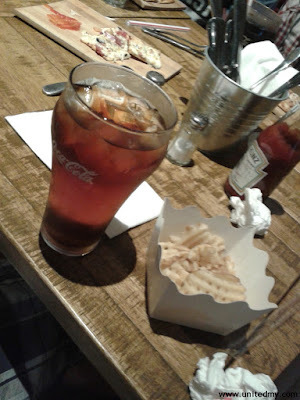 The package contains a cold coke and cost not more than RM18.00 . The order was taken by selecting it at an ipad . While selecting, the staff were dancing with loud music turned on. It was a pleasant dinner. 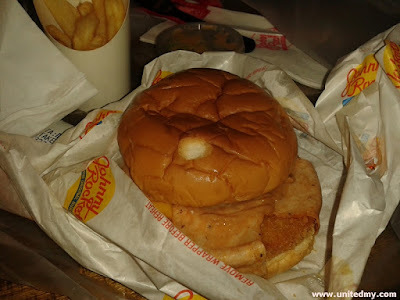 First try Johnny Rockets burger, definitely using some juicy and quality ingredients. a memorable experience indeed. Saliva was all over the table till the floor.